Anthony Scaramucci has already made his exit from the “Big Brother” house, according to avid watchers of the show’s live feeds. The former White House communications director was nowhere to be seen when CBS made the live stream available on Tuesday night, meaning Scaramucci likely made his exit from the “Big Brother” house sometime between Tuesday night’s episode and the beginning of the live feeds later that night. According to Fansided, which chronicles the events of the live feeds, the other houseguests were caught wondering about Scaramucci’s exit, asking why his portrait hadn’t been blacked out on the wall, a move traditionally made by producers when a player exits the house, either following their eviction or after quitting the show. Scaramucci later confirmed his exit when he reappeared at a business conference in Davos, Switzerland on Tuesday. Video of his panel shows that Scaramucci was asked about the reason for his departure but said he couldn’t discuss it due to a confidentiality agreement. As fans saw on Tuesday night’s episode, Scaramucci was one of three houseguests up for eviction, after being nominated by former Olympic swimmer Ryan Lochte. The other nominees were “Mean Girls” star Jonathan Bennett and comedian Tom Green. 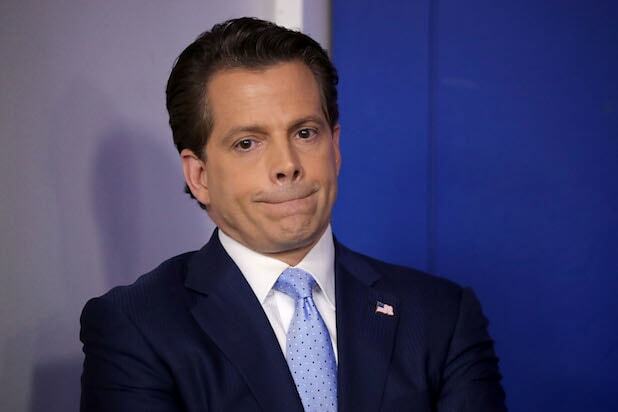 Per Scaramucci, those speculating about the reasons for his departure will have to wait until Friday night’s episode to find out for themselves.